Explore two of South America’s premier adventure destinations: Bariloche in Argentina and Puerto Varas in Chile. Cross the Andes by boat! Travel through the spectacular lake country of Chile and Argentina, enjoying the rich green hues of "Emerald Lake" and magnificent views of the Osorno, Puntiagudo, and Tronador volcanoes. Day 1: Puerto Montt/Puerto Varas arrival. 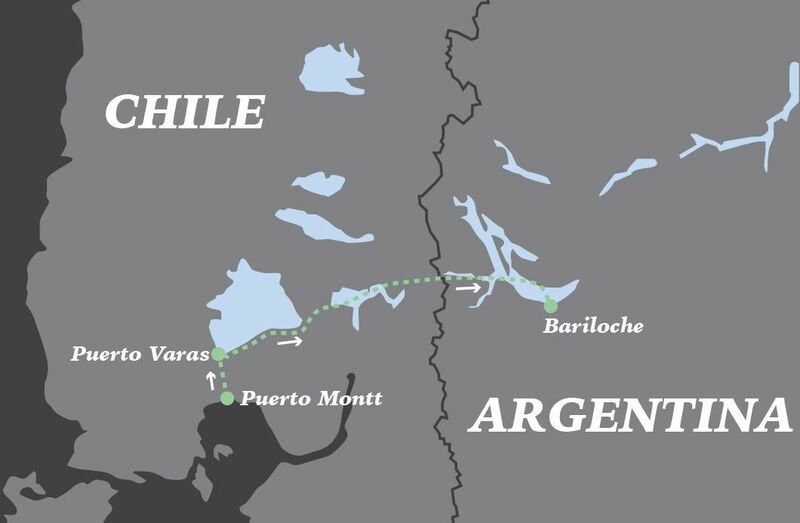 Day 3: Puerto Varas – Bariloche Lakes Crossing. Day 4: Bariloche Circuit tour. Extend your time and enjoy the range of adventure activities and optional tours on offer. Add a stopover in Peulla to break up your lakes crossing trip. Take a spectacular trip down the ‘Ruta de los siete lagos’ between Bariloche and San Martin de los Andes. 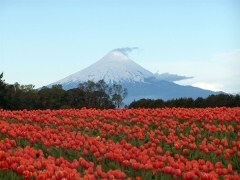 Upon arrival at Puerto Montt airport or port you will be met and transferred to your hotel located in charming Puerto Varas, located on the shores of Lago Llanquihue. Today is at your leisure and we recommend taking a walk along the shore and admiring the spectacular views across the lake to the towering Osorno Volcano. We can also offer a range of optional day trips which include a tour to Chiloe Island or a variety of adventure tours including caving, rafting, hiking or mountain biking. 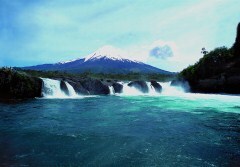 Today you’ll travel across land and lakes by buses and boats, beginning with a bus to Petrohue Falls. From Petrohue Pier you’ll take a modern catamaran for the crossing of Todos los Santos Lake, with water of such a deep green hue that it is also known as “Emerald Lake.” During the crossing you will have stunning views of the Osorno, Puntiagudo and Tronador volcanoes. By late morning you will arrive at Peulla, with time for lunch and/or a short walk before boarding a bus to Puerto Frias. After checking with the Chilean custom offices, your journey will take you through a beautiful Andean rainforest up to an altitude of 2,900 feet. After a check-in with the Argentine police, you will navigate across Lake Frias to the village of Puerto Alegre. A short bus ride through an Andean larch forest takes you to Puerto Blest, where you will board another modern motor-catamaran to take you across Lake Nahuel Huapi to Puerto Panuelo. 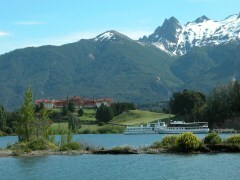 Your day of travel ends around 9 p.m. with a short bus ride to your hotel in Bariloche. This morning will be at your leisure. Bariloche is a chocolate-lover’s heaven, so we recommend heading to Calle Mitre where dozens of chocolate shops offer tasty little morsels of artisan chocolate. From Bariloche, you’ll begin your half day afternoon adventure with a drive along the Nahuel Huapi lakeshore on the San Pedro Peninsula. At Playa Bonita, you’ll enjoy views of Huemul Island before continuing your journey. You’ll hop aboard a chair lift at Campanario Hill and ride to the top for impressive views of the region—Nahuel Huapi and Moreno lakes, El Trébol lagoon, San Pedro, Victoria Island, Otto, López, Goye and the Catedral hills, and the town of San Carlos de Bariloche.